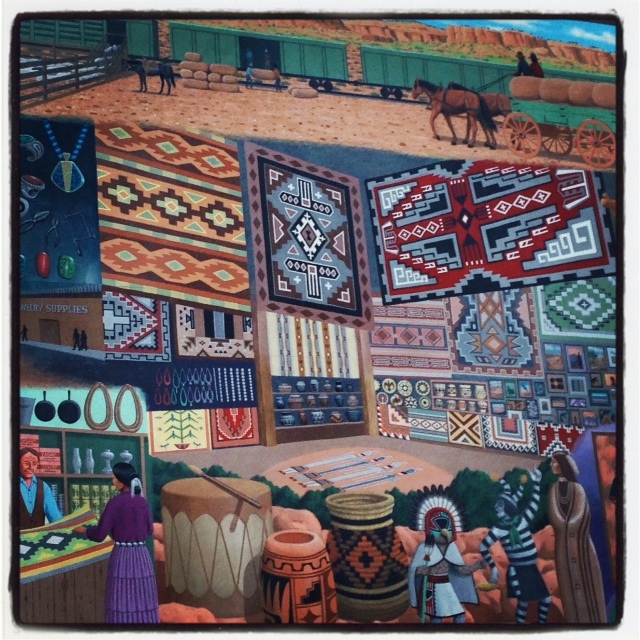 Beautiful street art in New Mexico. Try a new food from a different culture. Korean barbeque is DELISH! You could even try a new fruit or vegetable (I’ve never tried rhubarb or jicama myself). God gave us so many yummy choices, why deny ourselves of these luxuries? Try reading the bible using a different version. NLT gives me a good laugh from time to time but also gives me a better understanding of God and God’s word. Learn a new language. Master it. Speak it with natives. Pray in it. Reminds me of a song that Donnie McClurkin recorded during one of his live concerts called the Language Medley. I LOVE THIS! Check it out. Take a train to a new city for a day (or 2 or 3). Save up your coins and travel abroad. God is overseas too. Visit a worship service different than what you’re used to. Always interesting to see how others worship. Have you ever actually read the Book of Mormon or the Quran? Try reading excerpts. I guarantee you will appreciate YOUR beliefs as a Christian when you know what others believe as well. No shade to other religions. Explore nature in a new way. Go bike riding this summer through a park. Go camping. Bird watch (YES I’M SO SERIOUS)! Embrace the beauty of this planet that God created. Spark up a conversation with someone who is waaayyy different from you. You probably have more in common than you think. If we love God, then we also commit to loving the many different people He created in His image. Try listening to a new genre of music. Love gospel? Try contemporary Christian. You may learn to really love it as much as I do lol. And finally, try taking a new class. Whether it be cooking, knitting, or piano lessons, you never know what hidden talents God has placed in you until you TRY! God wants us to have LIFE and have it more ABUNDANTLY (John 10:10). It’s one thing to have wealth in assets and its totally another to have wealth in experiences and the two are NOT mutually exclusive. So with that said, get to LIVING. Aside | This entry was posted in April Mondays and tagged art, bold, born again, christ, christian, Culture, Exploring, fabulous, First Time, Food, God, life, Love, New, travel. Bookmark the permalink.